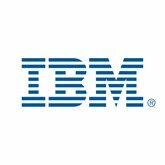 IBM Spain Projects | Red Skios LTD. The IBM Software AVP (Accelerated Value Program) delivers a proactive, cost-reducing, and productivity enhancing advisory service. Our B.I. was paired with a number of IBM’s most valued customers to provide proactive, preventive and personalised solutions. Our unique experience allowed the customer to deploy faster, mitigate risk, and improve their software environment and processes.